Eric Dayton of Askov Finlayson and Siri Knutson of Siri Knutson Design Studio reveal the circuitous routes they took to design at this special event on Nov. 28. 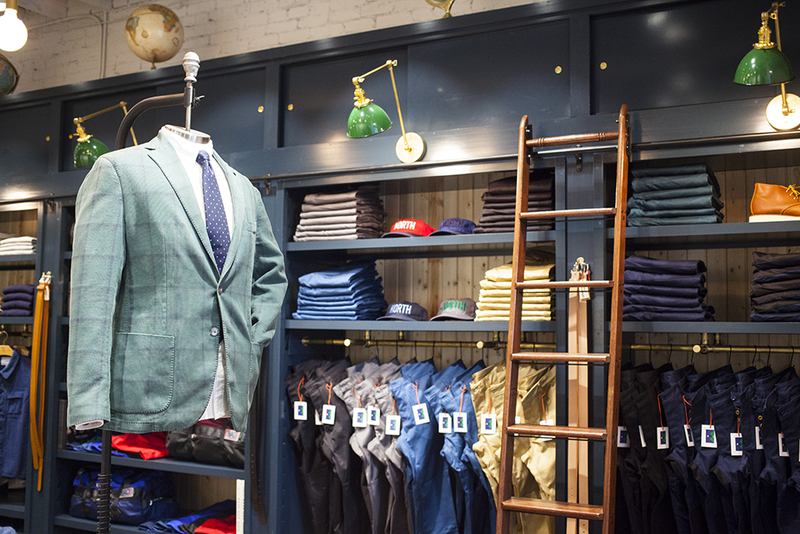 Askov Finlayson, Eric Dayton’s shop offering stylish, casual menswear. Photo by TJ Turner. Repositioning Minnesota as the North—as simultaneously cultural identifier, geographical location, design concept, and brand—was largely Eric Dayton’s initiative. In 2014, Dayton (co-owner of Askov Finlayson and Bachelor Farmer in downtown Minneapolis) put forth what he called “a small simple idea”: Was it time to differentiate the state, and especially the Twin Cities, from the rest of the Midwest? He went on MPR to further his idea, saying, “The Midwest is this big nebulous part of the country and it’s kind of what’s left over after all the other regions of the country are defined. Those regions have much stronger identities if you think of the East Coast or maybe New England, or the Pacific Northwest or certainly the South. The Midwest is kind of the catchall for what’s left.” He proposed we call ourselves the North. 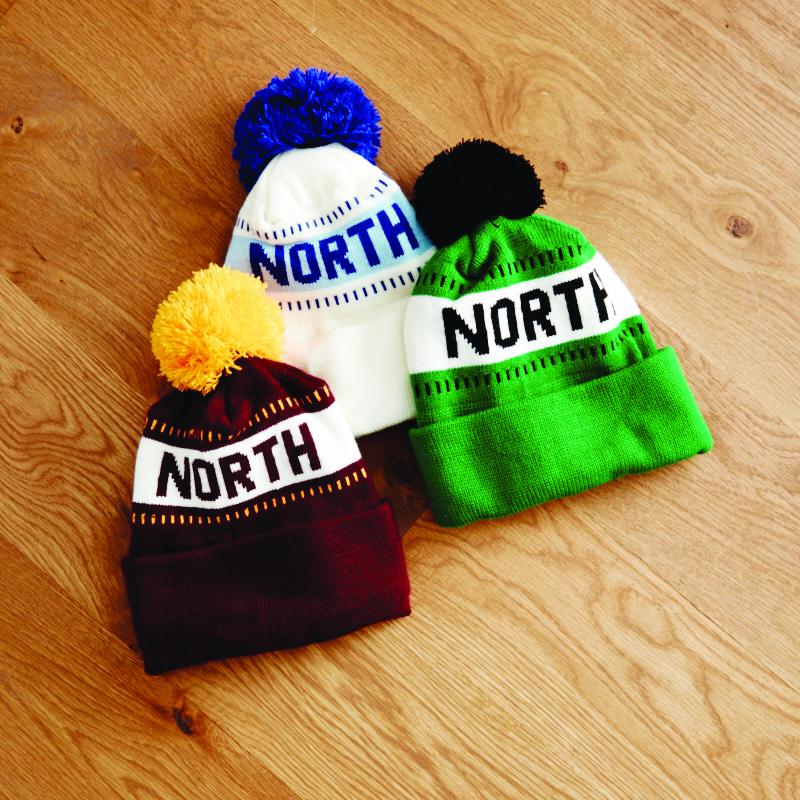 He’s even had stocking hats produced emblazoned with “North.” The hats, available through his shop Askov Finlayson, promptly sold out. Dayton has since initiated another concept with a mission and merchandise infused with an ecological bent: Keep the North Cold.® How the former English major turned arctic expedition dogsledder, MBA grad, and entrepreneur originated these initiatives is the topic of the upcoming Dirty Laundry: Derailed Edition on Wednesday, November 28, at 7 p.m. in Northrop Auditorium’s Best Buy Theater. The event is free but registration is required. Interior designer and art director Siri Knutson, founder of Siri Knutson Design Studio in Minneapolis, joins Dayton for this edition of Dirty Laundry, which takes a look at the circuitous routes the two design professionals took before landing in their current careers. Knutson’s wide-ranging design services include spatial layouts, furniture design, kitchen and bath remodels, the curation of art collections, and consultations on space organization and function. A classically trained fine artist and designer with a background in K-12 arts education and horticulture, Knutson creates from a perspective grounded in her belief in the transformative power of design.